It adopts an advanced 5.8GHz wireless transmission scheme and has the advantages of a long transmission range, strong anti-interference and high mobility. The product consists of a transmitter and a receiver. 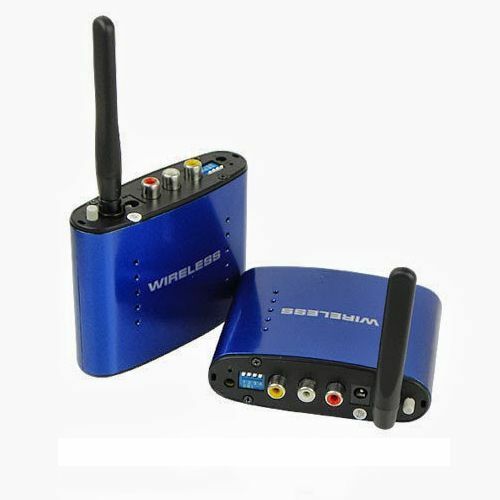 It can transmit AV signals of DVD, DVR, CCD camera, IPTV, satellite STB, digital TV STB and other similar devices, by means of radio waves and receive them at distant end and input them to a TV set to be displayed. Wireless transmission ? 200M(depends on the environment). 10cm/3.94″ (L) Ã—8.5cm/3.35″ (W) Ã—3.0cm/1.18″(H). 5.8GHz module is CE & FCC certificated. Wireless application is safe and reliable.